Buff the skin to a youthful new glow with Power Scrub. 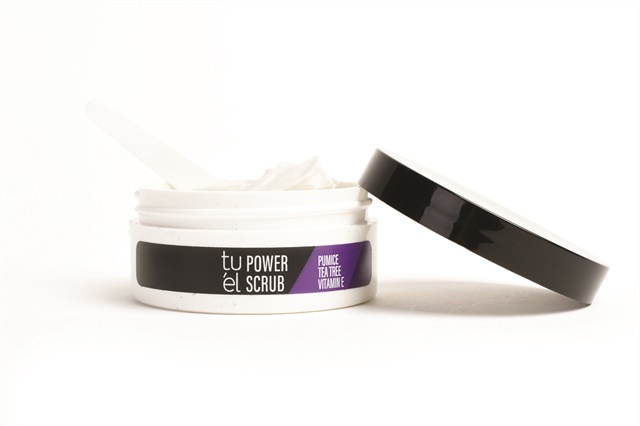 Formulated with pumice, tea tree, lemongrass, vitamin E and chamomile, the scrub smooths and refines the skin’s surface. For more information, visit Tu'El.